On 17.7.1971 param pujya (respected or esteemed) Shri Babaji Maharaj reached Udaipur at Shri Todaram Puniyas place. On 16.7.1971 he had asked for someone to telephone Delhi to check on my condition. That day I was admitted in the hospital for treatment of appendix burst case and as it was an emergency case, I was operated on the same day. My boss explained my condition to Shri Babaji Maharaj on the phone. Soon Shri Babaji Maharaj left Udaipur to reach Ahmedabad. On 23.7.1971 my condition had deteriorated significantly. Shri Babaji Maharaj asked Shri Devi Prasad Tibadewala to telephone my boss to check on my condition. At that moment my condition had become worse and body fluids started seeping though the stitches and doctors gave up the hope of my survival. At that time I prayed to Shri Babaji Maharaj! If you want to keep this body then please cure it; I am in tremendous pain and I can’t take it any more. I had not slept for three days and was also suffering from severe migraine. In that condition I could not think of any other saviour but for Shri Babaji Maharaj and I had to take refuge in Shri Babaji Maharaj. By Shri Babaji Maharaj’s grace, at that moment, I don’t know how I got a short nap. During my sleep I had vision of Shri Babaji Maharaj; he dressed my wound, took hold of my hands and made me stand up and helped me walk outside the ward. After this when I woke up, I became confident that I would get well soon as Shri Babaji Maharaj was taking care of me. After this incident my condition automatically started improving and in next 4-5 days I was fully recovered. All the doctors were shocked to see my recovery and were surprised how such a hopeless case could cure by itself. Thus it was a rebirth for me, a new life has been granted to me by Shri Babaji Maharaj. Another incident took place after 6 months. Shri Babaji Maharaj was travelling alone from Ambala to Delhi. Major (now Brigadier) Laxmansinghji wanted to give me the message about Shri Babaji Maharaj’s travel plans and so he tried to call Vidyadhar Bhuriya to request him to pass on the travel details to me. At that moment I was also trying to reach Vidyadhar Bhuriya from Chandani Chowk Delhi to Delhi Cant. 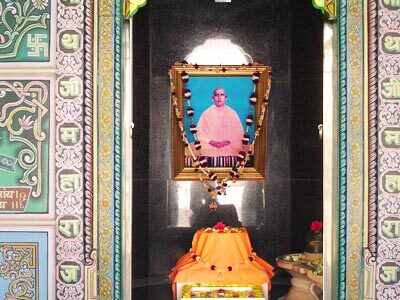 As it happens I could contact neither Vidyadhar nor Laxmansinghji could contact Vidyadhar, but to my utter surprise, by grace of Shri Babaji Maharaj, Laxmanji and I got connected, I don’t know how! This way Laxmanji could give me travel details of Shri Babaji Maharaj straightaway rather than giving them through Vidyadhar. There is so much to say about Shri Babaji Maharaj’s Lila (play) and grace; I have had so many experiences. He is very compassionate; he always transmits his daya (mercy, pity, compassion) in one way or another. I bow to him again and again.